Top Animation News: Rick and Morty win, Cartoon Forum, Hilda and more! Top Animation News is a weekly column that rounds up the biggest, best and breaking stories from the world of animation. This edition covers September 7 to 14, 2018. 1. Rick and Morty wins its first Emmy! First-time nominee Rick and Morty took home the Outstanding Animated Program prize at last weekend’s 70th Annual Primetime Creative Arts Emmys. The Adult Swim adult animated comedy, following a reality-traipsing genius grandfather and his painfully average grandson, faced stiff competition from The Simpsons, South Park and Bob’s Burgers. Despite cinemas being dominated by 3D animated features, all this year’s Emmy nominees were 2D series. Discover the Rick and Morty Emmy win and why 2D animation is better than 3D for television series on the blog. 2. Cartoon Forum 2018: Tribute Award winners from Finland, Ireland and France. This year’s edition of Cartoon Forum wrapped yesterday in Toulouse, France. Among the winners of its prestigious Cartoon Tribute Award were Finland’s YLE (Best Broadcaster), Ireland’s 9 Story Distribution International (Best Distributor) and France’s Folimage (Best Producer). Cartoon Forum 2018 saw 83 animated television series presented — representing 22 European countries, $396 million in spending and 513 hours of content. 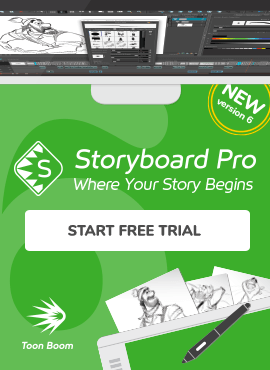 Notably, both Folimage and 9 Story use Toon Boom software. Catch up on Cartoon Forum 2018 on “Variety”. 3. 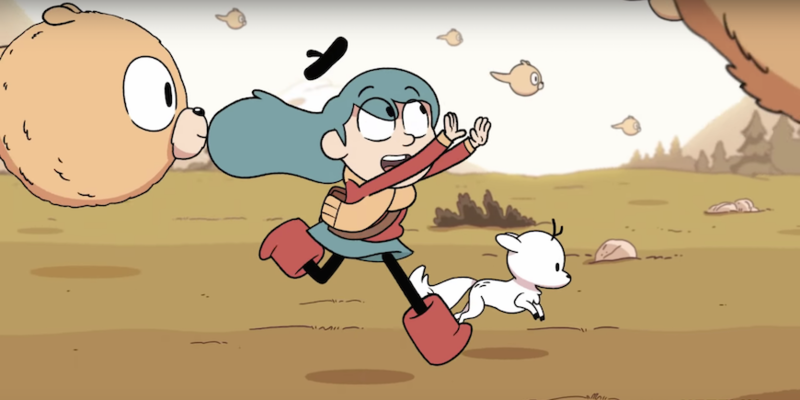 Netflix’s Hilda gets its fantastical first trailer. Based on the Eisner Award-winning graphic novel series by Luke Pearson, Hilda is about a fearless blue-haired girl who discovers magical creatures around her town. Premiering September 21, the Netflix series is a co-production between Silvergate Media (UK) and Mercury Filmworks (Canada), who produced the animation for the cartoon using a Toon Boom Harmony pipeline. Andy Coyle served as Hilda’s supervising director. Watch the Hilda trailer above and explore more on “Cartoon Brew”. 4. Student Academy Awards 2018 winners announced. The Academy of Motion Picture Arts and Sciences announced the winners of the 45th Student Academy Awards — chosen from 1,582 entries, including live-action and animation, across 278 domestic and 122 international post-secondary institutions. Among those schools taking home prizes were University of Southern California (USC), California Institute of the Arts (CalArts), Ringling College of Art and Design, and MoPA in France. Winning students will be invited to spend a week in Los Angeles engaging with the industry leading up to the awards ceremony on October 11. Study up on all the Student Academy Awards 2018 winners on “Animation World News”. 5. Apple acquires Wolfwalkers for its streaming service. Stream through Apple’s content investments and Wolfwalkers on “Business Insider”. 6. Rise of the Teenage Mutant Ninja Turtles gets a new trailer ahead of premiere. Nickelodeon published an action-packed new trailer for Rise of the Teenage Ninja Turtles ahead of the series’ release next Monday, September 17. The reptilian reboot will see Raphael, Leonardo, Donatello and Michelangelo uncovering mystery, magic and mutants in New York City’s underbelly. Rise of the Teenage Mutant Ninja Turtles was produced in Toon Boom Storyboard Pro and Harmony. See the latest Rise of the Teenage Ninja Turtles trailer above and read more on “Flickering Myth”. 7. Wishfart wafts around the world. Fantastical children’s animated comedy Wishfart has found more global broadcasters in France (Canal Plus), Australia (ABC), Ukraine (Kids TV) and Russia (2 x 2 TV, Studio Telephote). It is already screened in the UK, Italy, Belgium, Israel and Africa. Wishfart is produced in Toon Boom Storyboard Pro and Harmony, and follows teen leprechaun Dez as he grants wishes for his pals Akiko and Puffin — with things generally devolving into magical mayhem. Wish to learn more about Wishfart? Find it on “Animation Magazine”. 8. Sony Pictures Classics to distribute Ruben Brandt, Collector. Hungarian animated feature Ruben Brandt, Collector has found a North American and LatAm distributor in Sony Pictures Classics. Directed by Milorad Krstic, the film follows the titular character as he steals priceless paintings from the world’s most renowned cultural institutions in order to stop horrific nightmares. Notably, Ruben Brandt, Collector is a 2D animated feature aimed at adults, which is rare in North America; Sony’s investment in it is a positive sign for the industry. For more on Ruben Brandt, Collector, head over to “Deadline”. 9. Ads would cost Netflix a quarter of its subscribers. Research firm Hub has found that 23 percent of Netflix subscribers would leave the streaming giant if it began inserting ads into programming. However, if promotions were coupled with lower monthly fees, only 16 percent of users would cancel. Netflix reached 125 million subscribers in April and saw a record $11.6 billion in revenue in 2017. It is also a huge driving force in the global animation industry, particularly as it seeks to attract new viewers outside the United States. Binge the Netflix ads research on “HuffPost”. 10. My Neighbor Totoro to be China’s first Studio Ghibli release. China has emerged as a growing market for Japanese anime in recent years. Case in point: Studio Ghibli will be giving My Neighbor Totoro its first full theatrical release in the country. The Hayao Miyazaki classic, which is celebrating its 30th anniversary this year, has been recently digitally restored and will feature dubbing from leading Chinese actors. If My Neighbor Totoro is successful, Studio Ghibli will release more back-catalogue films in China. Venture over to “The Hollywood Reporter” for more on My Neighbor Totoro in China.